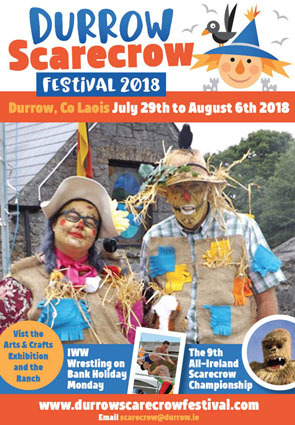 The All-Ireland Scarecrow Championship Awards Ceremony will take place in the Scarecrow Village from 4.30-5pm on Sunday 4th August. This is the culmination of the festival and marks the unveiling of this year’s overall winner and the winners of the various other categories. The first prize is sponsored by St Canices Credit Union in Durrow – a big thank you to them, it really helps and is greatly appreciated. We cant wait to see who wins the various categories and who the overall winner will be – this is a great reward for all the hard work, creativity and effort that goes into each and every one of the entries. We know what you do, and you do it so well, Well done to all! The Overall Winner in 2017 was “The Greatest Show on Earth” produced by Conahy Vintage Group. A fantastic piece of work, can anyone topple them to take their place on the Roll of Honour? 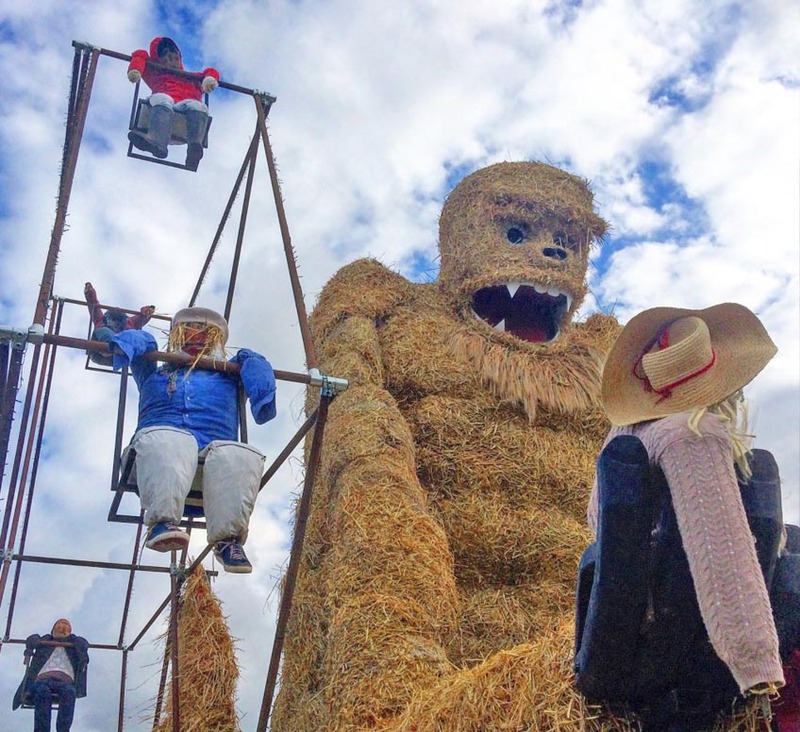 The Round Hay Bale Competition winners are also announced here, so if you entered that one, keep a close watch here as well. So if you are in the Scarecrow Village when the music stops on Sunday 4th August from 4.30 – 5pm check it out and give the winners a big cheer!